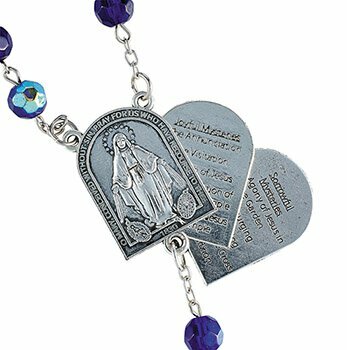 This Mysteries rosary features a unique sliding centerpiece that lists all of the Mysteries of the Rosary. 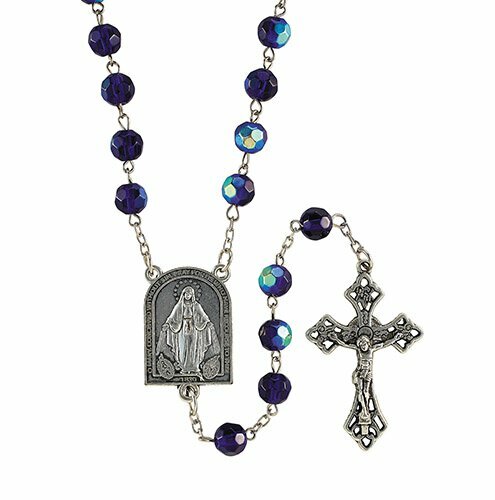 Comes with sapphire AB faceted glass beads and a traditional styled crucifix. Makes a great devotional gift for those celebrating the sacraments of First Communion, Confirmation and RCIA.